In the event that the property is located in Zone AO or in Zone A (without a BFE) section E will be filled out by the Surveyor and submitted to FEMA for further investigation and consideration. 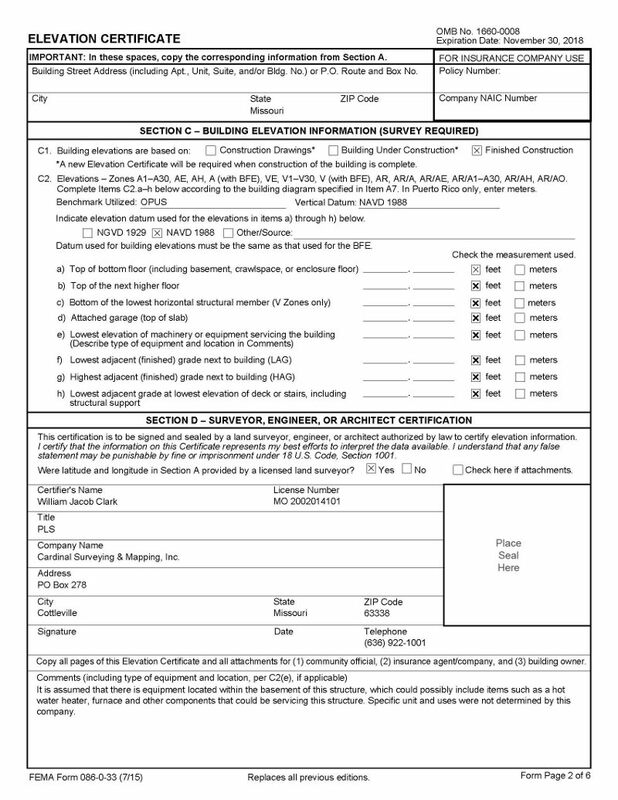 In the event that the homeowner fills out any of the information in Section A, B or E, they must sign and provide their contact information in this section. This section is for use by the Flood Plain Admistrator and can contain permit information, information from elevation certificates previously completed by licensed surveyors or engineers, and their contact information. Building Photograph per Item A6. The remaining pages provide for a place for photos of both the front view and rear view of the property can be added. A minimum of one photo of each is required.